B.I.R.D. : Common Nighthawk - or is it a Kite? 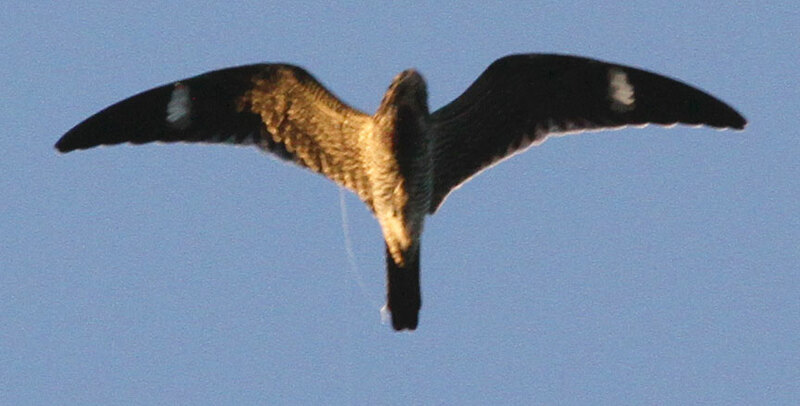 Last night we counted over 200 Common Nighthawks migrating along the CT River in Westminster Station. Gerry was armed with his camera and took many shots as they flew by, some circling above us catching insects on the fly. It wasn't until this morning when he sorted through the 100s of shots, that he noticed one bird with string hanging from her wing and tail. 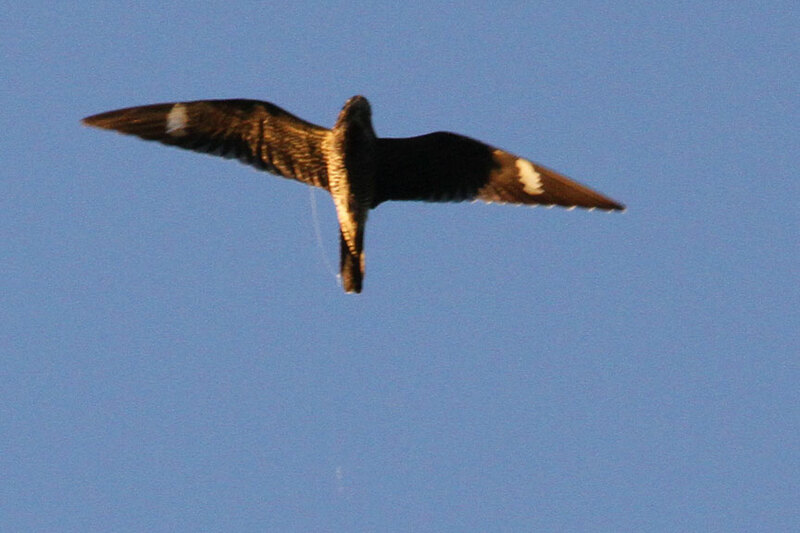 None of us watching the nighthawks noticed one flying oddly or for that matter, one with string attached. Is it fishing line? That seems like a strong possibility. Luckily for this bird it didn't affect her flight on this night.